A project involving a partnership between Tyne Rivers Trust, Newcastle University, and community groups has won the Partnership category in the inaugural England River Prize run by Environment Agency, River Restoration Centre and WWF. 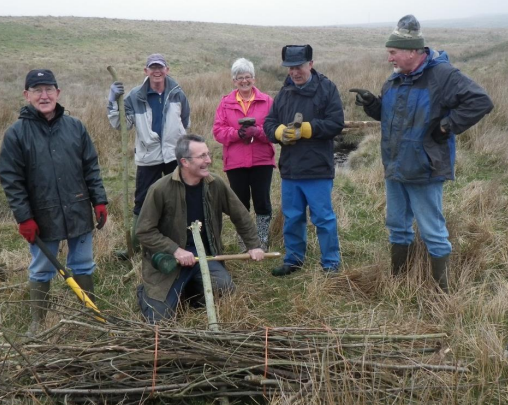 The Haltwhistle Burn Catchment Restoration Fund (CRF) project involves a ‘total catchment’ approach which brings together organisations and individuals to tackle issues of water quality and flood risk management as well as collectively improving our understanding of the sub-catchment and river processes. To support the CRF project outcomes, Tyne Rivers Trust has part funded Eleanor Starkey’s PhD within CEG, with supervisors Geoff Parkin, Paul Quinn and Andy Large. Eleanor’s research project ‘Community Monitoring and Modelling for Catchment Management and Restoration within the UK’ is focussing on engagement with the local community in the Haltwhistle Burn catchment, a tributary of the Tyne, to monitor a range of catchment parameters and issues using low-cost and simple techniques, develop and test green-engineering catchment management techniques, and use modelling strategies that can provide meaningful results back to the community. This work builds on existing research in CEG in natural flood management, hydraulic and hydrological model development, and crowd-sourcing methods for data gathering. This research study is closely aligned with the Sinatra project objectives, in using community sourced data to provide essential information on rapidly responding catchments, which complement the spatially-sparse national observation networks for rainfall and river flows. The study is providing evidence of the value of this information, as well as testing methods for engaging with local communities that will help to support the work of the Sinatra Flood Action Team (FloAT). Visit http://research.ncl.ac.uk/haltwhistleburn/ for further details. This entry was posted in Uncategorized on May 15, 2014 by Rob Thompson.